The crew of Thomas Cook UK flight MT990 reported to fly two sectors, Manchester to Ibiza and return, on an A321 aircraft. The flight crew consisted of three pilots; a training captain who occupied the left flight deck seat and was the commander, a co‑pilot undertaking the first two sectors of line training who occupied the right flight deck seat, and another first officer who occupied a flight deck jump seat. The commander read the co-pilot’s training file before the flight crew made their way to the aircraft. 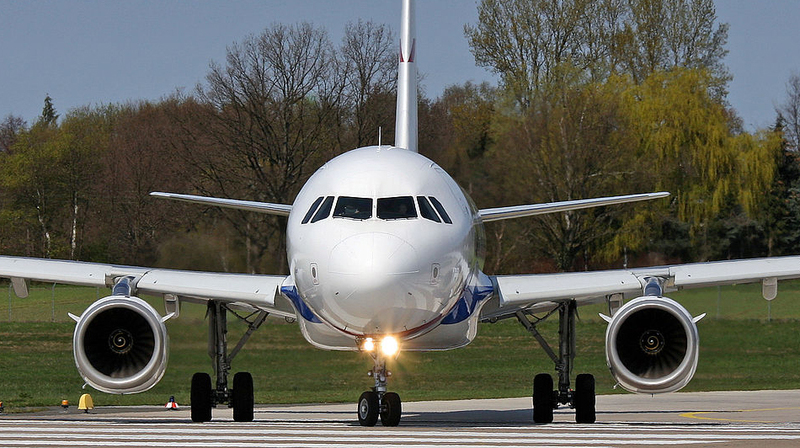 The co‑pilot had recently completed base training on an A320 aircraft. 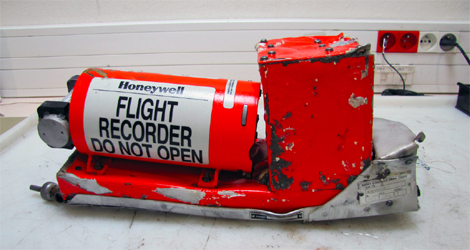 When interviewed after the accident, the commander’s interpretation of the co-pilot’s file was that he “had had difficulty landing the aeroplane and had had to have extra landings”. The commander instructed the co-pilot that he would “talk him through” the landing and specifically that he would instruct him to “check” the rate of descent with a nose-up sidestick input at 20 ft above touchdown. This would involve selecting 5°of positive pitch attitude and looking outside at the attitude, while simultaneously retarding the thrust levers. The co-pilot flew a visual circuit onto the final approach to Runway 06 in good weather with a light wind. The landing was “firm”, and during the turn-around, the co‑pilot identified that he had flared too late. The commander decided that he would fly the aircraft back towards Manchester but would hand control to the co‑pilot for the final approach and landing. The weather at Manchester was good with the 1950 hrs observation indicating that the wind was 180°/5 kt. At approximately 8 nm from touchdown, the commander handed control to the co-pilot. The co‑pilot disconnected the autopilot at 1,200 ft and left the autothrust engaged. The commander watched the co‑pilot’s sidestick inputs and recalled that he was “over-active” on the sidestick. He stated that he perceived this to be a common problem with pilots transitioning onto the Airbus aircraft. At 1,000 ft, the commander noted that the operator’s stable approach parameters were satisfied and stated “stable A321” in accordance with the operator’s SOPs. The commander gave a coaching narrative during the final moments before touchdown but, as the co-pilot closed the thrust levers, realised that the landing was “going to go wrong”. The aircraft touched down firmly and bounced. The commander stated that he considered taking control, but noted that the co-pilot appeared to be holding the aircraft’s attitude and that intervention was not necessary. Although the commander believed that he made no sidestick input, FDR data showed that he did move it slightly. After the second touchdown, the landing progressed normally. The co-pilot taxied the aircraft to its parking stand and disembarkation took place. The commander and co-pilot discussed the landing and both considered it not to have been “heavy”. The post flight load report of Thomas Cook UK flight MT990 showed a hard landing of 2,65 g.
The commander asked some company line engineers, who had travelled back from Ibiza as passengers, for their opinions of the landing and specifically whether they thought it was a ‘hard’ landing. They replied that if no “load 15 report” had been produced on the flight deck printer and the commander did not consider the landing to have been “heavy”, then in their opinion, no action needed to be taken. The commander was unfamiliar with this “load 15 report” (though he knew that the aircraft was capable of printing a report after a heavy landing), but confirmed that no report had been printed. 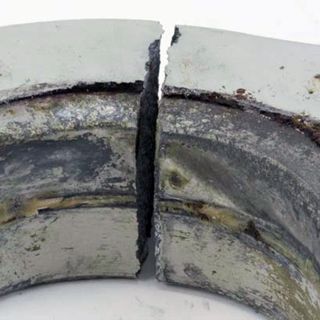 The final overload phase of the lug failure in the gear support rib is likely to have been accelerated by the hard landing, though it was not possible to confirm this from the fracture surfaces. All other characteristics of the crack are consistent with the manufacturer’s analysis of previous failures in this location.